When someone tells you that they have a degree in Criminal Justice, you might naturally assume they’re working or plan to work as a police officer, but that’s a pretty big assumption. While it’s true that becoming a police officer is a common career path for Criminal Justice graduates, the reality is that a Criminal Justice degree can prepare you for a variety of jobs within the legal system and beyond. 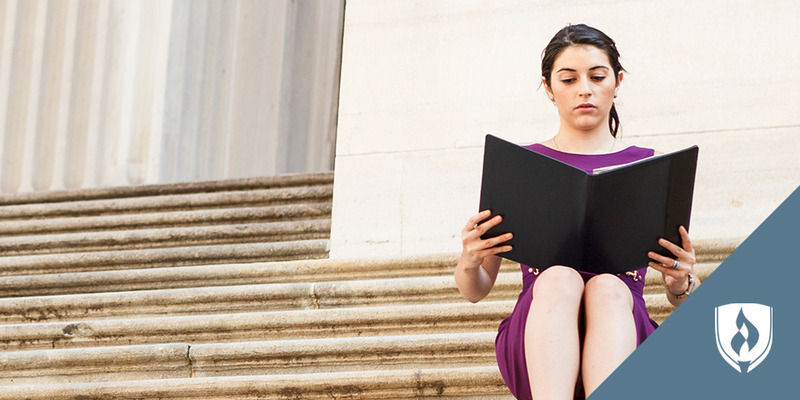 So, what can you do with a Criminal Justice degree, exactly? 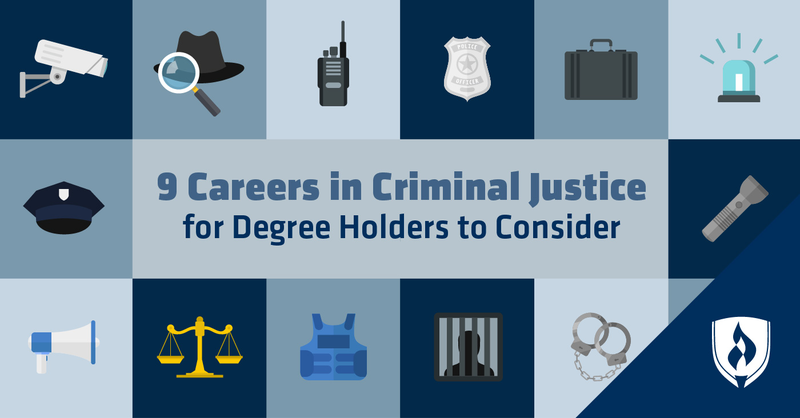 We did a little research to give you a better understanding of the criminal justice careers this degree could lead you to. Keep reading to familiarize yourself with nine criminal justice careers available to those with the right education. We used real-time job analysis software to analyze more than 2,500 job postings from the past year that required a Criminal Justice degree.1 The data helped us identify the nine most in-demand criminal justice careers. Duties: Police patrol officers are tasked with patrolling assigned areas, enforcement of local laws and ordinances, traffic regulation and crowd control for large events. Why it made the list: This entry-level position is likely what you think of when someone says they’re earning their criminal justice degree. Duties: Security guards are responsible for the monitoring and maintaining of a facility’s security. Additionally, they are tasked with writing reports of daily activities or irregularities and working with public safety officials in the event of an emergency. Why it made the list: If a building houses something valuable, odds are you’ll find at least a few security guards patrolling the area. While many security guard positions don’t require a degree, Criminal Justice degree holders should be able to flourish in these roles and work their way toward higher-level managerial security positions. Duties: Private detectives and investigators conduct investigative research on subjects (often involving fraud or legal misrepresentations). They must document the information they’ve gathered and report on their findings to private individuals or businesses. Why it made the list: Private investigators and detectives serve an important role in legal proceedings by bringing to light information that would be otherwise overlooked. 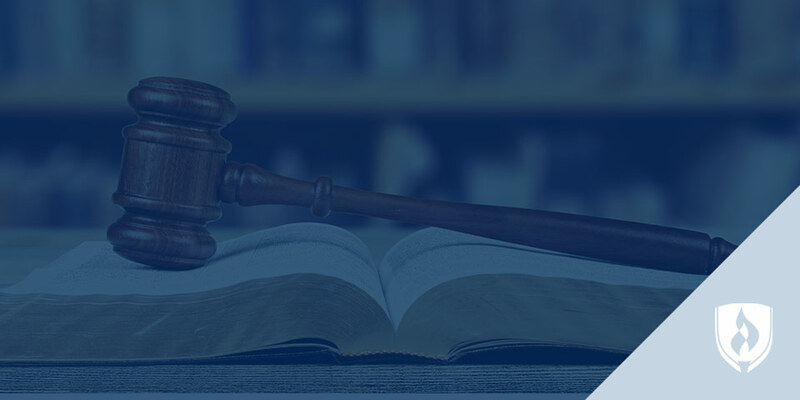 Criminal Justice graduates are well versed in investigative techniques as well as criminal and privacy law, which makes them an ideal fit for this line of work. 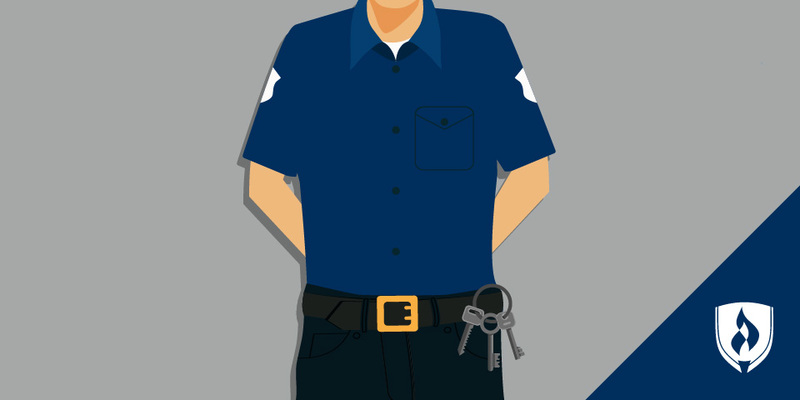 Duties: Correctional officers work in prisons or jails and are responsible for monitoring inmates for dangerous activities, inspecting cells for contraband, weapons or security issues and maintaining the overall security of the facility. Why it made the list: It may not be the most glamorous occupation, but jails and prisons need well-trained corrections officers to ensure both inmate and public safety are maintained. Duties: The primary responsibility of first-line law enforcement supervisors is the coordination and supervision of subordinate officers during criminal investigations. Why it made the list: These positions typically require multiple years of law enforcement experience and a solid educational background in criminal justice. Duties: Criminal justice postsecondary vocational teachers, are responsible for teaching students the fundamentals of the criminal justice system. These professionals educate and train students on topics like civil rights, criminal proceedings and how to act in dangerous scenarios encountered in the field. Why it made the list: It takes firsthand experience to adequately train law enforcement professionals. This is an excellent option for any experienced professional in the field who is looking to train and develop the next generation of criminal justice professionals. Duties: Criminal investigators and special agents work in specialized investigative roles within law enforcement. They may work as detectives where they gather evidence, interview suspects and pursue leads. These roles may be tailored to specific areas like narcotics or human trafficking. Why it made the list: Criminal investigators and special agents are the members of the law enforcement community that do the deep investigative legwork that helps bring criminals to justice. These are positions within law enforcement that typically require additional experience, education and training. Duties: Probation officers work with offenders to ensure they’re meeting the terms specified in their probation or parole agreements. This means they’re responsible for administering drug tests, interviewing and reporting on the progress of offenders and also assisting them in finding help for any mental health or substance abuse issues. Why it made the list: Part correctional officer, part social worker; this position requires a strong knowledge of the legal system and how to interact with offenders. Duties: Security managers are responsible for not only maintaining the security of people, places or things, but also the management of lower-level security personnel. This includes training new security officers and assuming a hands-on role in the planning and implementation of security standards, policies and procedures. Why it made the list: The next step in a private-security career, security managers need a strong understanding of criminal behavior and identifying security issues—which aligns very well with what is learned in a Criminal Justice degree program. Which careers in criminal justice interest you? Now you know that earning a Criminal Justice degree isn’t a dead end. The knowledge and hands-on training you’ll receive from a reputable program can help prepare you for a variety of criminal justice careers. 2Salary info came from the U.S. Department of Labor (DOL). Data represents national, averaged earnings for the occupations listed and includes workers at all levels of education and experience. This data does not represent starting salaries and employment conditions in your area may vary. 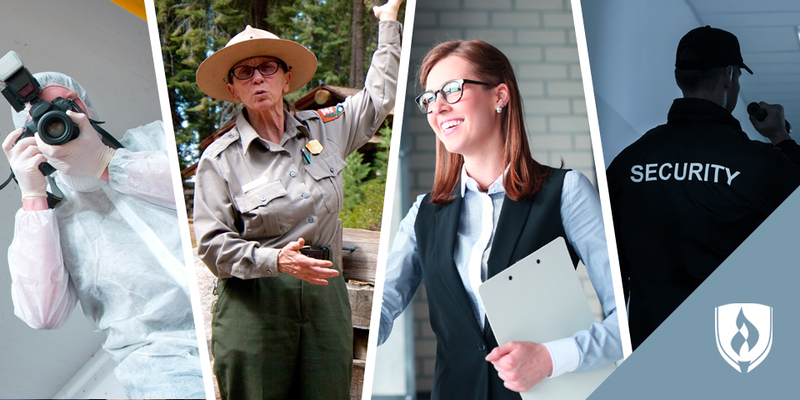 Info for security managers reflects the DOL’s data for occupations under the “Managers, all other” category. Median salary and wage information for security-specific management positions may vary. Rasmussen College does not offer programs to prepare students for every occupation profiled in this article; please see rasmussen.edu/degrees for a list of the programs we offer. Rasmussen College is a regionally accredited private college and Public Benefit Corporation. EDITOR’S NOTE: This article was originally published in July 2013. It has since been updated to include information relevant to 2018.